I am writing to update you about our plans to improve Oxford Street and the surrounding district. As you know, two consultations have taken place in the past twelve months and after listening carefully to what local people have told us, we can now make Westminster City Council’s position absolutely clear. 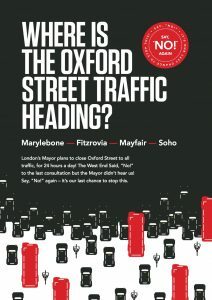 What is very apparent is that the majority of Westminster residents who responded to the consultations did not support the proposals to pedestrianise Oxford Street. 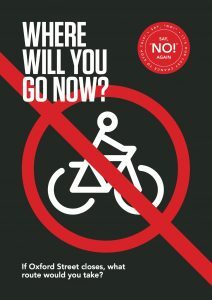 We also know that in the recent council elections, local people also essentially rejected pedestrianisation through the ballot box. Therefore, we believe there is a very strong democratic mandate that the pedestrianisation scheme that was under consideration is not what local people want. As a result, Westminster City Council has taken the pedestrianisation of Oxford Street off the table for good and we have informed the Mayor and TfL of our decision. However, we do think that most people, ourselves included, feel that doing nothing is also not an option. We need to make the street and surrounding roads safer for everyone to accommodate the increase in people coming into the West End via the Elizabeth Line, which opens later this year. We also need to future-proof the Oxford Street District in a rapidly changing business and retail environment. We need to make sure that the experience of visiting Oxford Street and the surrounding area is fit for the future to ensure it maintains its crown as the nation’s high street for many, many years to come. Today’s news that House of Fraser will be closing their Oxford Street store only reaffirms our view that we have to help the retail industry to grow and evolve in line with changing consumer behaviour. In doing this, we must also ensure that residents’ quality of life is enhanced with any improvement plans, with local amenity and cleaner air the absolute priority. For example, we want to continue to work with the Mayor of London, as many of the ways air quality can be improved are within his gift, such as the reduction in buses and introducing cleaner taxis. We will also ensure that the street and surrounding district is accessible and easy to navigate for everyone. Moving forward, the council will now work on completely new proposals and come back to you after the summer break with some thoughts as to how we can proceed with improving the Oxford Street District. We also give you our absolute commitment that we will keep you informed at every stage and try to engage with as many people as possible throughout this process. Only by working together can we help to ensure that we deliver a transformation of Oxford Street and surrounding district that is as inspiring for those who live, work and visit the area now as well as for future generations. If you would like to be kept up to date with future Oxford Street updates could you please e-mail robincampbell@westminster.gov.uk to register your email address. If you have any questions please also direct them to Robin. 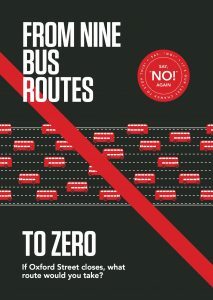 ‹ Promises must be honoured on Oxford Street, pedestrianisation is not on!